Many people are unaware of the events of Martin Luther’s life that led him to make a courageous stand for the gospel in the sixteenth century. 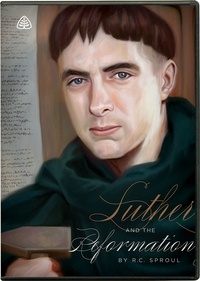 In celebration of Reformation Day 2013, we offered the downloadable edition of R.C. Sproul’s ten-part series Luther and the Reformation for free. This series introduces the life and thought of Luther while exploring the lessons we can learn today. Thank you to everyone who participated in this one day special offer. This offer expired midnight (EDT) October 31, 2013.